At the beginning of last year, I noticed that many of the “literary” writers of the late 19th and early 20th century seemed to have a real enthusiasm for science that spilled into their works. In that time period, there seems to be a fuzzier boundary between literary and genre. 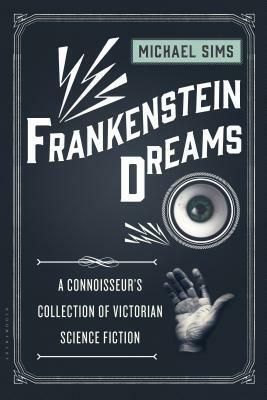 Frankenstein Dreams is chronological survey of science fiction starting at the publication of Mary Shelly’s Frankenstein in 1818, which can arguably be considered the beginning of the genre. All types of science fiction are included: bats on the moon, a tale of mesmerism (which was thought to be a science), high-tech submarines, augmented humans, augmented dinosaurs, time travel, future societies, and more! Included are some of the “genre” authors you’d expect (like Edgar Alan Poe, Arthur Conan Doyle, H. G. Wells, and Jules Verne) along with some classic authors I don’t think of as having genre connections (like Rudyard Kipling and Thomas Hardy) and many authors I wasn’t familiar with at all. There were a few excerpts. In fact, the anthology starts with a series of excerpts from Frankenstein, which I would think a reader would be somewhat familiar with if they’re reading this book. Other excerpts are from Wells’ Island of Dr. Moreau, Vernes’ Twenty-Thousand Leagues Under the Sea, Strange Case of Dr Jekyll and Mr Hyde by Robert Louis Stevenson, and Two on a Tower by Hardy. The excerpts work more or less as stand alone stories, but I wish Sims would have stuck to short stories only. My other sort of half-problem was that some of the stories weren’t really science fiction. “The Monarch of Dreams” by Thomas Wentworth Higginson involves the attempt by the narrator to control his dreams, but it’s more fantastical than science-based. The same goes for Mary E Wilkins Freeman’s very good “The Hall Bedroom.” While there’s speculation of a fifth dimension, what occurs could as easily be called a haunting. “Monsters of Magnitude” by Thomas Hardy (what Sims decided to call the excerpt of Two on a Tower) isn’t really science fiction, but is more like science *in* fiction, which is part of what I find interesting about a lot of literature in the Victorian era. As I also noted on Twitter, this excerpt makes me want to read the novel; I had sworn to forever hate Thomas Hardy since an unfortunate circumstance of being made to read him in the 7th grade. Similarly, Kipling’s “Wireless” involves science, but with a speculative fiction twist. Despite that, it too was one of my favorites of the anthology. This was a solid set of short stories and a great taster of Victorian science and speculative fiction. 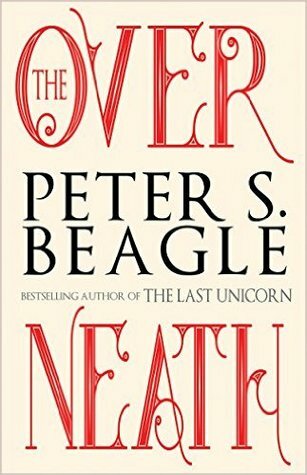 Peter S. Beagle is one of my favorite authors and I’m always excited to see a new collection of his short stories. Another two stories are about the early days of Schmendrick the Magician, from The Last Unicorn. 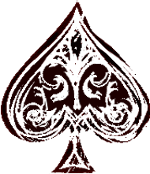 While always nice to have his narrative expanded, neither “The Green Eyed Boy” nor “Schmendrick Alone” come close to the pathos and complexity of “The Woman Who Married the Man in the Moon,” a story from the 2011 collection Sleight of Hand. My second favorite story of the book involves a different “wizard” and gives the book its title. In “The Way it Works Out and All,” a fictional Beagle and fictional Avram Davidson embark on an adventure into the Overneath, an alternate plane of sorts—navigable, if careful. The setups for a couple of the stories were rather long and the collection might have been better if it were about one story shorter. My nomination would be “Music, when Soft Voices Die” or “Olfert Drapper’s Day,” though the latter does fit the theme better. A whimsical collection with definite high points. Many of Peter S. Beagle’s ebooks are being sold by Conlan Press. Currently, Peter S. Beagle and Connor Cochran, the founder of Conlan Press, are involved in a legal dispute. I doubt that money from Conlan Press ebooks will get to Mr. Beagle. (Not to mention the many, many customers of Conlan Press who purchased physical merchandise, but have never received it.) Be aware when you purchase. 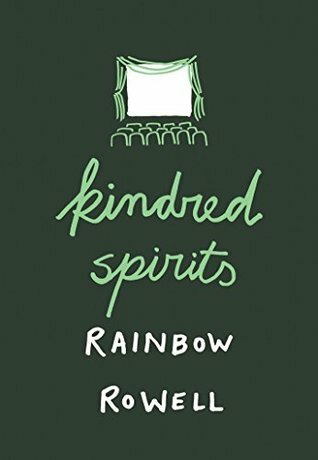 This book was provided to me by Random House Publishing Group – Hydra via NetGalley in exchange for an honest review. Found it by searching for Glen Hirshberg at NetGalley, doubly interested because of Frank Darabont. Five of these six stories reminded me of the best episodes from late 80s/early 90s horror anthology TV shows (Tales from the Darkside, Monsters, Freddy’s Nightmares). Each had a great twist of an ending and variable levels of gore. Frank Darabont’s “Walpuski’s Typewriter” sets the tone for the anthology. It’s a nasty piece of work (in a good way!) involving a writer and a demon possessed typewriter. Darabont is best known for his screen writing and adaptations; notably The Shashank Redemption and The Mist. I hadn’t read any of his prose. It did not disappoint. “The Boy” by Bentley Little was the perfect followup. I found myself wondering if I was supposed to like Christine’s neighbors, especially as they make fun of a kid who supposedly smells. By the end of the story, I wasn’t sure who was worse. Christine solves their stinky kid problem, in a way that is probably more honest than her two-faced neighbors would consider. With Benjamin Percy’s “Tumor,” we’re solidly back in the land of Tales from the Darkside. This is a simple short, tale, but full of gory glee. A shift in tone happens in the latter half of Dark Screams, Vol. 8. The stories are more complex and a smidge more contemplative in their horror. The one story that didn’t work for me was right after the mid-point, “Twisted and Gnarled” by Billie Sue Mosiman. The story is told alternately through first person point of view of a serial killer, The Man, and a somewhat psychic mother, The Woman. The internal dialogue of both of these characters really didn’t work for me. 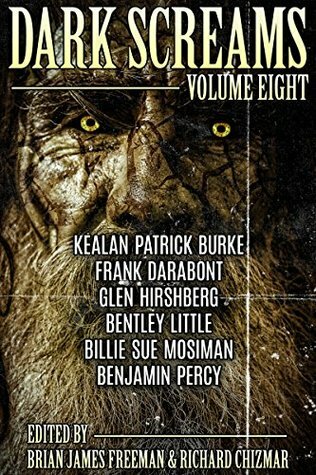 Quiet horror continued in “The Palaver” by Kealan Patrick Burke. Alluding to the stories of the late 19th century, this is a tale within a tale. Our narrator is the owner of the slowly failing Palavar Barbershop. He’s told a story of cosmic horror from the Great Depression that may or may not repeat itself in the 21st century. The last story in the anthology is Glen Hirshberg’s “India Blue.” As with many of these tales, the “payoff” is at the end of the story, which means reading through one man’s endeavor to bring cricket to America. Not just cricket though, but America’s Rockin’ Professional Cricket, complete with cheerleaders and a showboat player who has been drummed out of respectable leagues. Luckily, the journey is possibly better than the ending. Solid anthology. It’s release date is Halloween and it’s the perfect little reading treat. Sometimes, I don’t have a lot to say other than, “Man, I liked this.” So, here are some things I’ve liked recently. Interestingly, this collection also includes “Like Lick Em Sticks, Like Tina Fey,” which would seem to be the short story jumping off point for the novel Motherless Child. This is a great place the get a taste for that in-progress trilogy. A charming tale about…waiting in line. Okay, waiting in line for the Star Wars: The Force Awakens, but it’s also about expectations and assumptions. Elena loves Star Wars and expects to be part of a celebration of that love. Instead, she faces that embarrassment that sometimes occurs when you love something deeply and slightly irrationally—even when among other fans of that thing. The notion of the “true fan” is handled lightly along with how we casually judge others without knowing anything about them. It might be the end of the summer vacation for many, but it’s just the beginning for Ella and Lena. This is a solid monster tale from Caren Rich with a great action climax that left me wondering, “What was that ting? !” I also loved that Ella and Lena were just casually tomboyish geek girls. Ella is gung-ho for adventure and Lena goes along, but with a good stock of comic books to keep boredom at bay. 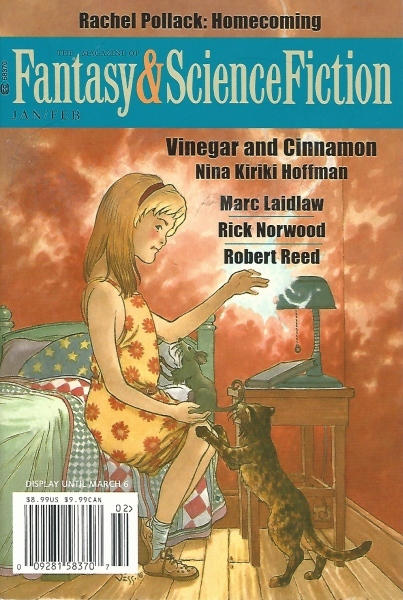 Originally included on the Fantastic Creatures Fellowship of Fantasy anthology. 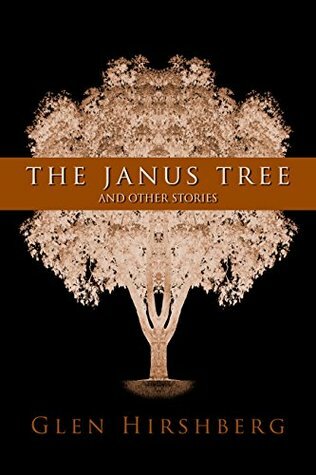 The Janus Tree is 5.5/10 Books of Summer! I saw it on offer at NetGalley from Tachyon Publications (the only publisher that I’m auto-approved with—why they put up with my grumpy reviews, I don’t know) and I was interested. But then I remembered that I had just purchased a Glen Hirshberg anthology, and I didn’t really need another short story anthology, and I have a never-ending TBR pile mostly because I request too many ARCs and…I let Wicker Wonders pass by. But then I got an email from Tachyon about widgets or something, and I guess I clicked a request link, and BAM! Wicked Wonders was ready for download. So, I read it, as one does when books show up. Ray Bradbury is one of my favorite authors. I especially love his tales of childhood: adventures on bicycles to dark carnivals in the midst of summer thunderstorms. Great stuff, but it occurred to me sometime in my 30s that all of Bradbury’s protagonists were boys. Makes sense since that’s his experience of the world, but I kind of wished that there were some of those kinds of stories with girl protagonists. Because, why not? Girls have adventures too. She intends to be a good girl, but shrubs and sheds and unlocked cupboards beckon. Yep, Klages hooked me right there with that line. 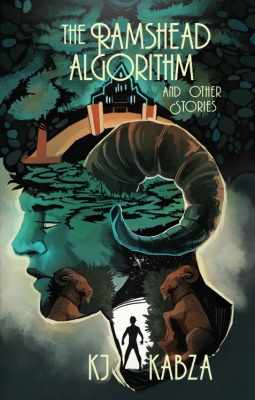 The stories range across the spectrum of speculative fiction. “Singing on a Star” and “Friday Night at St. Cecilia’s” are strongly fantastical and “Goodnight Moons” is a straight-up sci-fi tale. On the other end, “The Education of a Witch” is only fantasy tinged and “Amicae Aeternum” is more of a bitter-sweet best-friends(who are girls! )-on-bikes story than space opera. 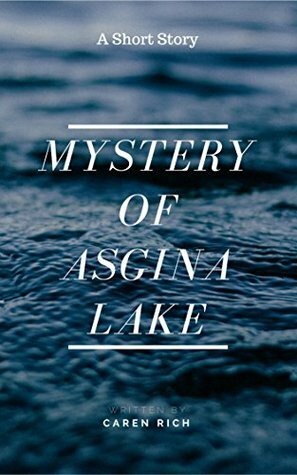 There are even a couple of stories with no fantastic elements what-so-ever, including my favorite “Hey, Presto!” Had I known there was going to be a well-done historical fiction story with magicians I would have never hesitated to request this book! I am really picky about science fiction. For me, the most science fictiony story of Wicked Wonders, “Goodnight Moons,” was also the least successful. Happily, for me, science fiction is in the minority on this anthology. I’m fairly sure that I haven’t read any Ellen Klages in the past. Coincidentally, I had also almost requested her latest novel Passing Strange from NetGalley when it was available, but had decided against it as well on the grounds that my TBR pile was too high. 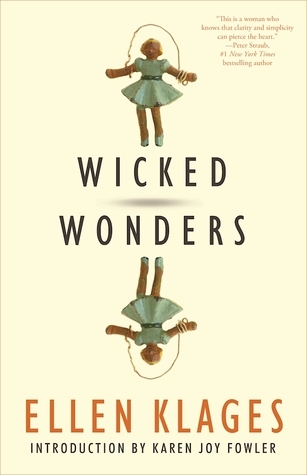 After reading Wicked Wonders…well, that TBR stack is just going to have to get stratospheric. Ms. Klages, you have a new fan. I reviewed the Nov-Dec issue on January 27th. Here it is only March 22rd and I’ve finished the Jan-Feb issue. Progress! These are the standouts from the issue. Note: I didn’t say favorites. I could lead a comfortable rat-wizard life. Maura is the golden child of the family; she has some ability with magic and is being taught how to use it. Sam is the good child of the family; he does his chores and then some to help the family get by. One day, by mistake, Maura turns Sam into a rat. And as a rat, Sam could have a very different life… Lovely story full of fairy tale and sibling rivalry. According to the introduction, Marc Laidlaw lives on the island of Kauai. Therefore, I’m going to take his use of Hawaiian culture and slang as genuine and well-intentioned. I hope so, because it’s that Hawaiian flair that gives this light Lovecraftian story some extra omph. Oh man, this story annoyed me. We start out with Harvey (has-been physicist), Jerry (boy genius), and Sam (uh, does the soldering). Together, just the three of them, build a perpetual energy machine…that just might destroy the world. My first objection to this story is the built-in-a-basement style engineering. That isn’t how things are developed and made. To recuse myself, I’m married to an engineer. The majority of my social circle are engineers. I’m a little protective of the fact that it takes many more people that anyone realizes to create the electronic wonders we use daily. And then there was Deloris, Jerry’s girlfriend. Deloris is an English major. Deloris doesn’t know science. Direct quote from Deloris: “That sounds important. I don’t know any science…” Deloris’s only purpose in the story is to have one of the male characters explain to her (and to us, the readers) what’s going on. It really bothered me that a story in one of the more prominent sci-fi literature magazines had such a poorly depicted female character. To further recuse myself, I have a degree in English literature. I also know some science.